While most of you must be busy with last minute sugary beautiful baking ( I don't want to believe there are people who are all planned and relaxed at the moment, its important for my happy life) I want you to make a little room for the ugly green stuff in your kitchen. Sure, its not festive looking but in a minute I'll tell you exactly why it deserves to be loved. Though we will not be having the "holiday season" around this part of the world, we just had a holiday season a month ago with all the Eid celebrations. Whatever be the occasion, when it comes to holiday season, you should be on holiday! Sure spending time in the kitchen is part of the whole joy of holiday cooking and baking but you don't want to labor whole day in kitchen and by the time to get to the table you loose all the appetite for fun or food. Which is exactly what I end up doing on holidays by the way. Quick marinates are a great way to enjoy meals that are big on flavor and not so much on the time factor. 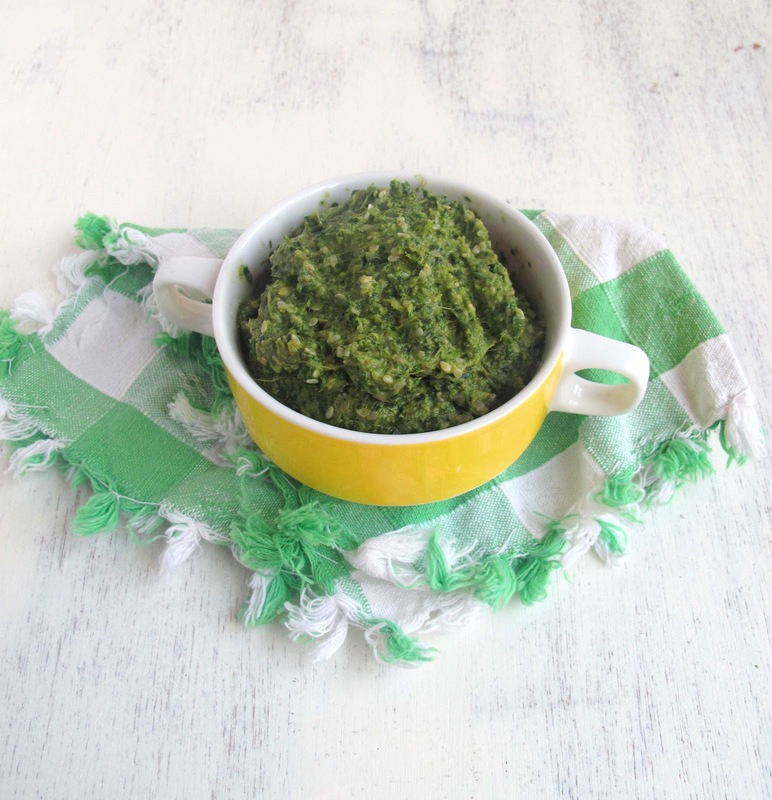 Make this green stuff, mix it with the meat of your choice, chicken, beef or mutton and you can decide what you want to make with it. Feeling like some exotic meatballs tossed with your pasta? Just roll the them into balls. Feeling like a burger would surface for the day?Just flatten them like a burger. 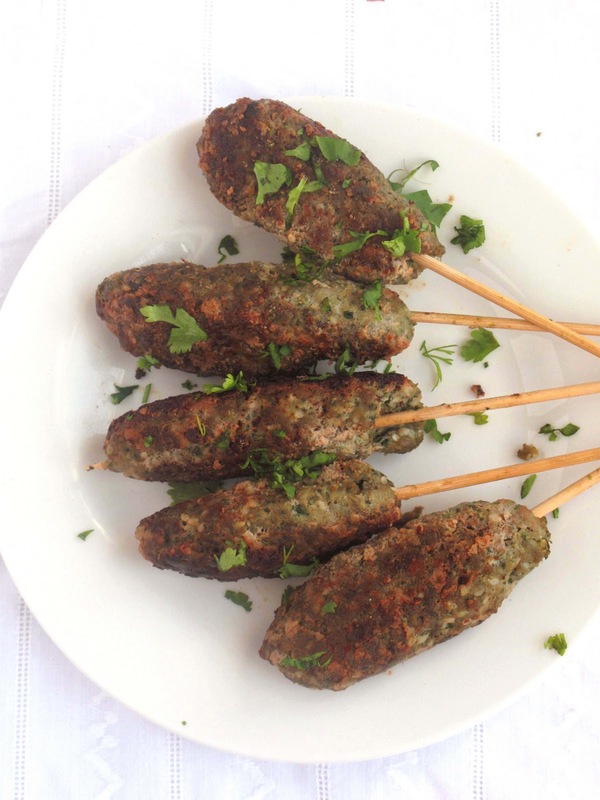 And want to impress your near and dear ones with some delicious kebabs? Just do what I did, roll them like kebabs. If you got left over, roll into a roti, paratha, pita bread what ever you have handy and make amazing kebab sandwiches.The thing is, this ugly green stuff is so delicious, it makes everything else taste great. The truth is, I'm just trying to convince you to make this. I don't know how holidayish this is but its delicious. Thats all. This is quite literally a green kebab. The herbs proportion might look a bit off but trust me it works beautifully. 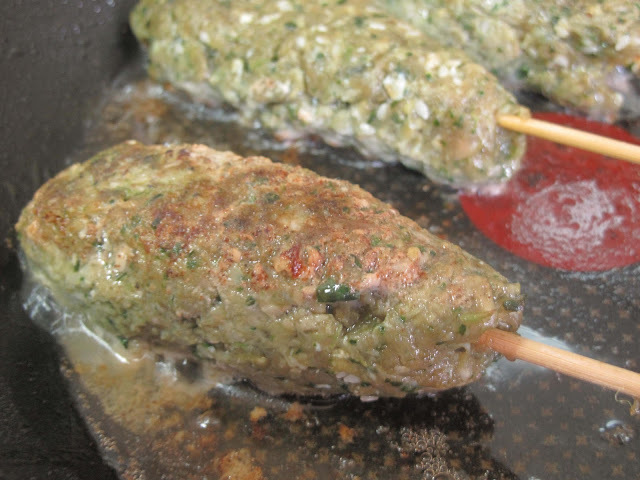 The mixture is also a bit on the wet side but thats what lends to creamy and soft kebab. Grind all the ingredients for the paste. The sesame seeds don't really need to be grind, so you can add that later but my food processor doesn't get to it anyway! Mix it with the meat. Add the crumbs and egg. Don't beat the hell out of the mixture, mix well but mixing way too much lends to tough kebabs. In a frying pan, heat the oil. Cook the kebabs on each side for 3-4 minutes. PLEASE don't over cook it. 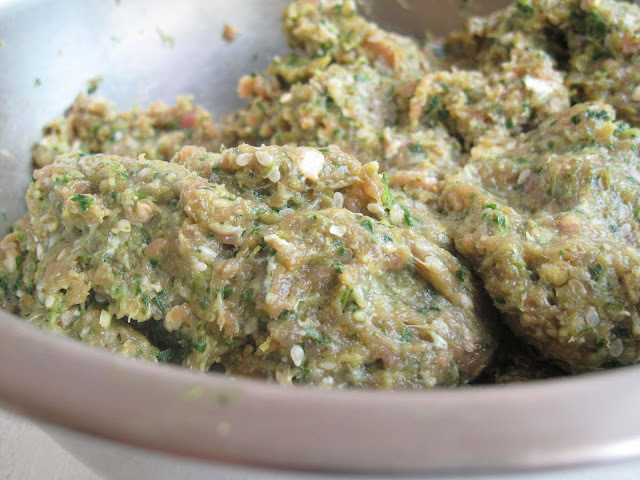 People generally are skeptical about raw meat and overcook the kebabs ending with a dry mess. Serve with mango mint chutney, coriander mint raita or ketchup. M loves ketchup. He eats everything ketchup. Whats wrong with him. Please help! Happy Holidays And Wishing In Advance A Very Prosperous And Happy New Year. Submitting this recipe for the Get Grilling 2011, Summer Food Event. “Get Grillin’ with Family Fresh Cooking and Cookin’ Canuck, sponsored by Ile de France Cheese, Rösle,Emile Henry, Rouxbe and ManPans. Happy Holidays to you as well. Have a wonderful weekend. I like the sound of "celebration of meat", we carnivorous bloggers ;) Thank you Karen. This post is so timely. I've got relatives coming for dinner tomorrow night and was looking for something a little different. This will be on the menu. I make something with chicken mince but have never tried it with beef. Will let you know how it turns out! Love it. 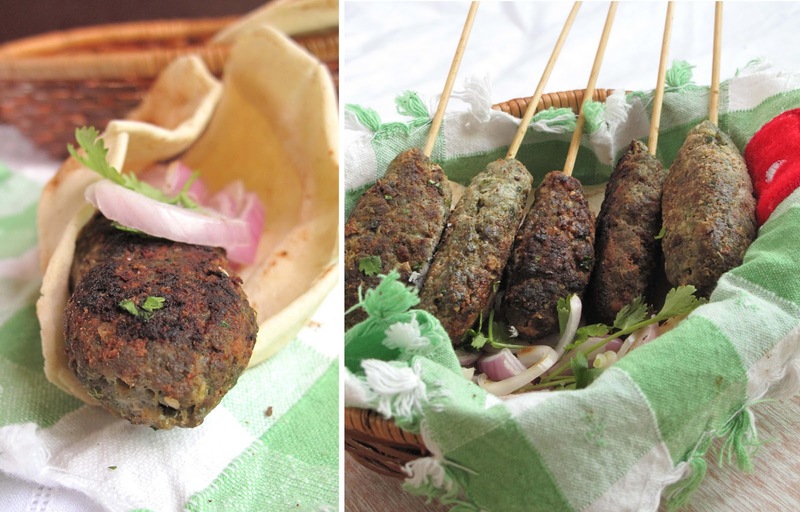 have been looking for a full proof seekh kebab recipe and when I saw this post of urs, I made them immediately. Everyone loved it and took recipes. Thanks again. 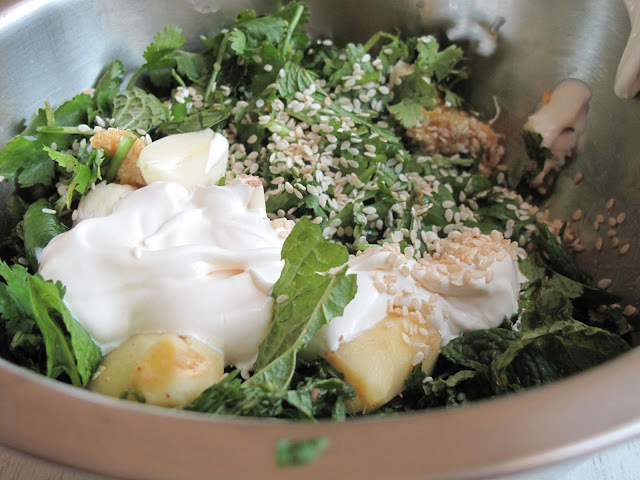 One of my favorites :-) Thanks for sharing the recipe Kulsum and a very haapy holidays to you and yours!! 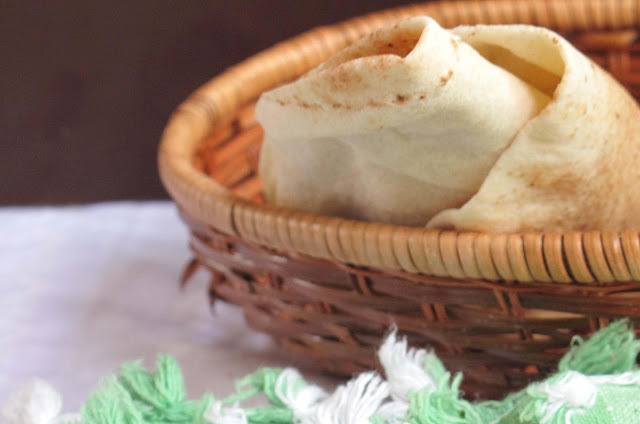 awesome recipe...love the wrap idea with these. Welcome to the blog : ) So glad you enjoyed it. Thanks a lot for coming back and letting me know. Your kebabs look delicious, Kulsumm. I lke to make skeres of all sorts. Yummy doesn't even cover it...WOW!!! Looks delicious, I'll give it a try. These look awesome! My desi cooking skills are sorely lacking. I make the same chicken salan over and over whenever we want desi food. I may have to diversify into kebab making :) Happy new year, friend! Hey Kulsumm. Just wanted to let u know I made these a few nights ago and they were polished off in no time. My only issue was that my paste didn't look too green! But it tasted super duper yum! Thank u so much Sukaina for coming back and letting me know. I'm glad u enjoyed even though there were not green. I wonder why, because with 1 1/2 cup of herbs, mine are always pretty green. I think it should be because you might have end up with little less herbs? After all 1 1/2 cup roughly chopped is a rough estimate, basically after the paste is formed it is more than 1/2 cup. Was your marinate 1/2 a cup? Facebook needs a 'love' button. Because I love these. I don't just like them. I find the 'like' button to fall short of describing my feelings for kebabsm and these kebabs in particular. They really do look fantastic! This meal of kebabs brings back memories. In my early adult years, I had the pleasure of joining Armenian friends from Iran with a wonderful weekend meals. 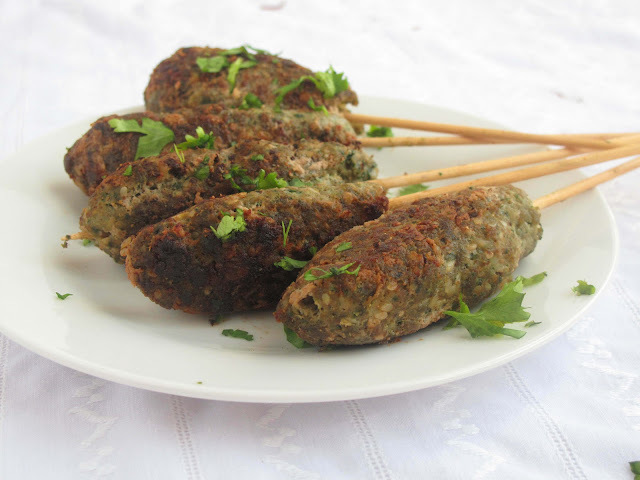 Kebabs very similar to the ones you presented are what enjoyed often. I discovered so many new flavors and spices that were unknown to me while growing up. The food and the friendship have had a lasting impression on me. This is an awesome meal. I would take a kebabs over the cookies any day anytime . Looks delicious. Wish you a wonderful holiday and a fab new year! i love your recipe-the addition of til and cream. this does not look like "ugly green stuff" to me! i am drooling! 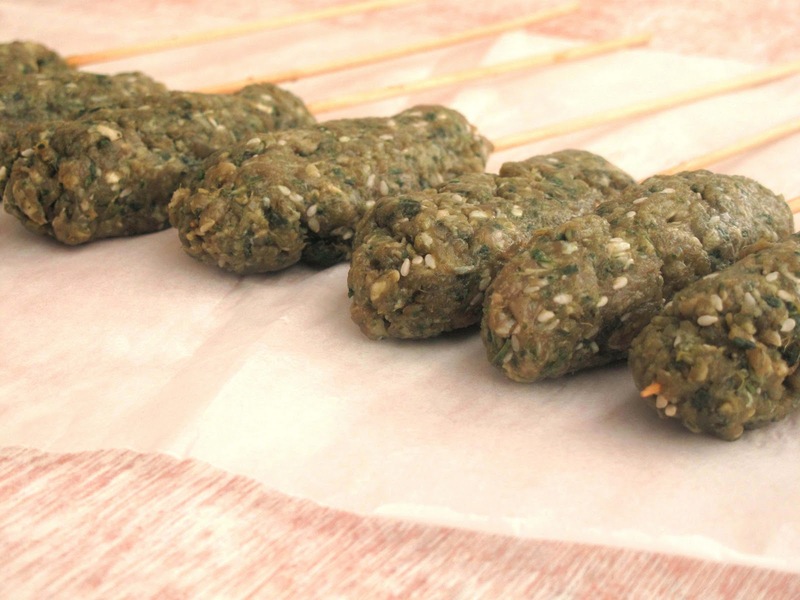 Wow Kulsum I have never heard of these kebabs...but they look super delish! I think they are also perfect for appetizers! Great recipe as usual! THIS IS KAUSER BANU I LIKE THIS KEBAAB I HAVE'NT EATEN BEFOR IN MY LIFE. THANK YOU KULSUM TO MAKE THIS KEBAAB FOR ME .